Already mired in a diplomatic crisis in Europe over National Security Agency (NSA) surveillance operations, Washington—as well as Canberra—is facing a backlash in Asia over the latest revelations that the NSA, working in tandem with Australian agencies, intercepted phone calls and data from embassies throughout the region. Details of the STATEROOM program are contained in an NSA document leaked by Edward Snowden and originally published by Der Spiegel in Germany. US diplomatic missions and those of other members of the so-called Five Eyes intelligence alliance, including Canada and Britain, are involved. The document noted that the highly secretive “collection sites” are small in size and “their true mission is not known by the majority of the diplomatic staff” where they are located. Angry reactions yesterday to the Fairfax and Der Spiegel articles give a glimpse of the diplomatic storm that is brewing throughout Asia. Chinese foreign ministry spokeswoman Hua Chunying stated: “China is severely concerned about the reports and demands a clarification and explanation.” Malaysia, Thailand, Indonesia and Papua New Guinea expressed serious concerns. * China is the major target in East Asia, with surveillance facilities in the US embassy in Beijing, as well as US consulates in Shanghai and Chengdu, and in the unofficial US diplomatic office in Taiwan. * The US has eight listening posts in South Asia, including in US embassies in India and Pakistan. 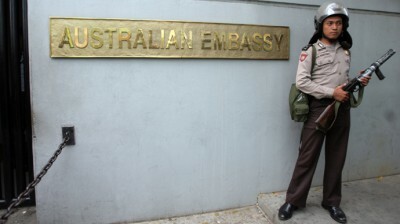 * In South East Asia, there are listening posts in embassies in Thailand, Burma, Malaysia, Indonesia and Cambodia. The embassy in Bangkok also features a technical support team and monitors a remotely operated facility in the US consulate at Chang Mai in northern Thailand. The latest revelations are a blow to the Obama administration’s “pivot to Asia”—a diplomatic offensive and military build-up aimed at undermining China’s influence and strategic position throughout the region. A standard element of American propaganda has been the accusation that Beijing is engaged in large-scale cyber espionage against the US and other countries. What has now been exposed is that the NSA is engaged in illegal spying operations of unprecedented size and scope, on governments and the broader population alike, throughout Asia and the world. The Obama administration risks alienating key allies and strategic partners that form part of its plans for the strategic encirclement of China. According to the Diplomat, news last week that the NSA was spying on world leaders prompted “some Asian nations, notably South Korea, to demand information on whether their leaders were among the 35 being monitored.” India has already announced a new policy for official emails, following revelations that it was the fifth most spied-on country by the NSA. The latest exposures underline the central role of Australian spy agencies and bases to the NSA surveillance operations in Asia. Just as the present Coalition government, like the previous Labor government, is committed to opening Australian military bases to American forces in their build-up against China, so the ASD is completely integrated into the vast US electronic spy network. Leaked NSA documents previously revealed that four Australian sites contribute data to an NSA program codenamed X-Keyscore, which separates data into streams of phone numbers, email addresses, log-ins and user activity for storage in massive data banks. These sites are the US-Australian Joint Defence Facility at Pine Gap near Alice Springs, and three ASD facilities—the Shoal Bay Receiving Station near Darwin, the Australian Defence Satellite Communications Station at Geraldton in Western Australia, and the naval communications station HMAS Harman outside Canberra. The Sydney Morning Herald today exposed the existence of a fifth electronic surveillance facility, known locally as “the house with no windows,” on the remote Cocos Islands in the Indian Ocean. According to former Australian defence officers, the ASD post is “devoted to maritime and military surveillance, especially Indonesian naval, air force and military communications.” Australia’s Cocos Islands outpost, which has been earmarked as a potential base for US drones and warplanes, is adjacent to key strategic shipping lanes to South East Asia. Australia also hosts vital listening posts plugged into the major undersea cables that carry the vast amounts of Internet traffic between North America and Asia. Kyodo News reported a month ago that the Japanese government rejected NSA requests in 2011 to establish similar cable facilities in Japan, citing “a lack of legislative authority.” Australian governments, however, had no such qualms about integrating the ASD and other spy agencies into the NSA’s illegal activities. Despite Prime Minister Tony Abbott’s bland denials, Australia’s intimate involvement in the America’s spying operation in Asia will only reinforce the widespread view that Canberra operates as the flunkey of US imperialism in its predatory operations, not only against rival governments, but the working class of Asia and the world.